Let us guide you through the wilderness of selling in the post-“Do Not Call Registry” world. 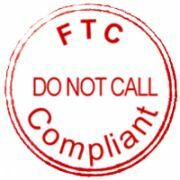 Can the FTC Do Not Call List affect my bottom line? Absolutely, if $16,000 fines per illegal call would affect your books, not to mention the negative PR. Has your list broker asked you for a SAN number? If not, you are running a HUGE risk of crippling fines. Where can I find an experienced list broker that will walk me through the hassle of registering with the FTC and maintaining compliance? Please call one of SalesLeads.tv’s experienced leads consultants and we will walk you through the process. Check the links below for much more detailed information about the law, as well other items of interest from the front lines. What about the new CAN SPAM laws? Our leads are quickly filling the gap created by the new “CAN SPAM” laws. Without the dubious advantage of spam, many internet-only leads brokers simply can’t create and sell their lead lists. Expansive TCPA and related claims are discovering their way to a wide range of organizations, from B2B to even political battles. A large portion of these class activities and vexatious suit is produced by claim overreaching so as to manufacture plants and cunning setups lawyers and their partners. Keen organizations accomplice with Contact Center Compliance and have executed Litigator Scrub to address this issue. Get a free information investigation to perceive how Litigator Scrub can spare you from consistence traps. Still Confused about the Recent TCPA Declaratory Ruling? Go along with us in San Diego and the Florida Gulf Coast, where industry suppliers and legitimate experts will share inside strategies for managing the surge of TCPA-related claims.